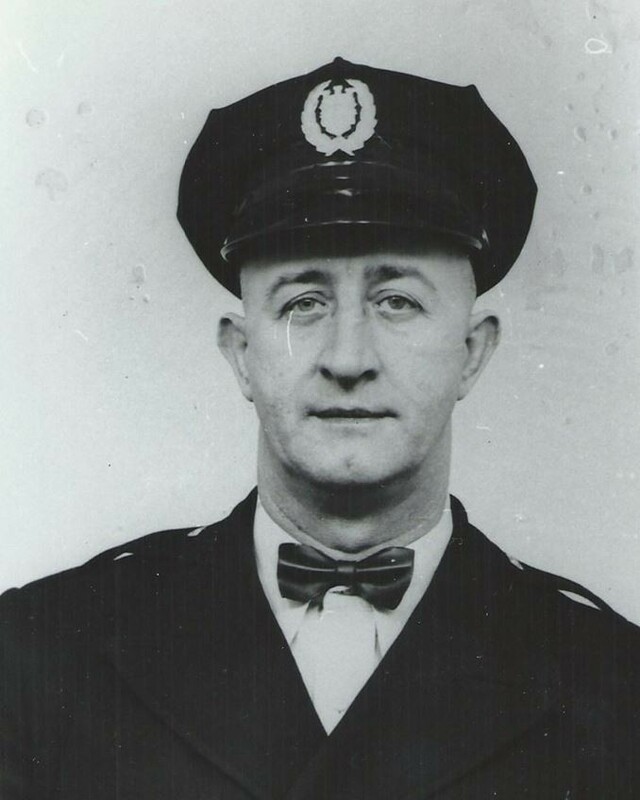 Patrolman William Heagy was shot and killed while attempting to apprehend a subject who had shot at a female resident of 102 Fullerton Street. The subject had confronted another man when the female resident called police. After the subject fired at the lady, he ran from the area before officers arrived. Hearing that the subject was possibly hiding in the area, Patrolman Heagy began to check the area behind a high board fence that ran behind Hazel Street. As he entered the gate to check the yard, he was fatally shot and collapsed. The subject was captured about 45 minutes later in a nearby home. Three days after his arrest, the man committed suicide by hanging himself in his cell using a chain that supported the bunk. Patrolman Heagy had served with the Pittsburgh Police Department for 14 years. He was known as "Doc" to his co-workers because of his multiple blood donations. He donated blood on more than fifty occasions. Officer William Heagy was given an Inspector's funeral and buried in United Cemetary, located in the city's North Side. He was survived by his wife.